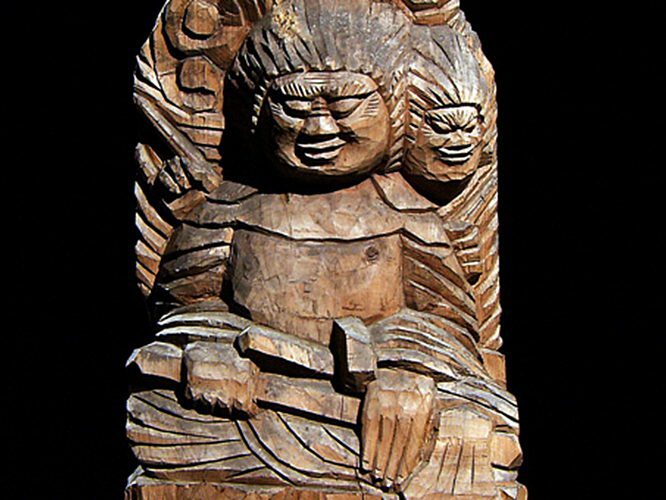 Enku was a Buddhist monk and carver of Buddhist statues who lived in the later half of the 17th century. He did not belong to a particular temple or organization, but rather he traveled all over meeting many people in his pursuit of knowledge. 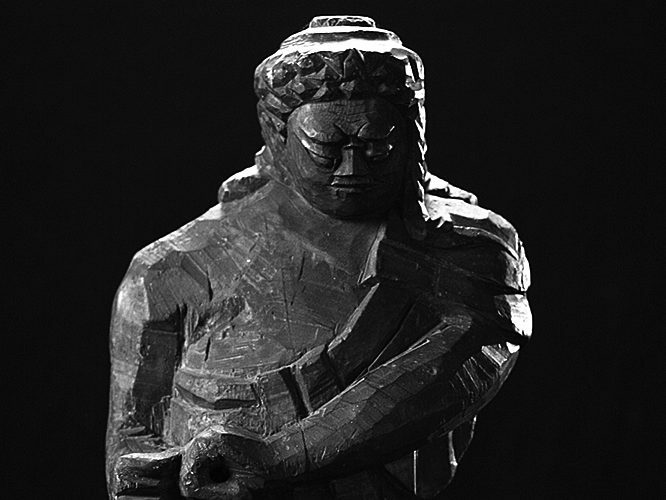 The Buddhist statues Enku carved during his travels can be seen today all over Japan. Currently, approximately 5,000 of his statues have been identified, but there are estimates that he carved 120,000 such statues during his lifetime. 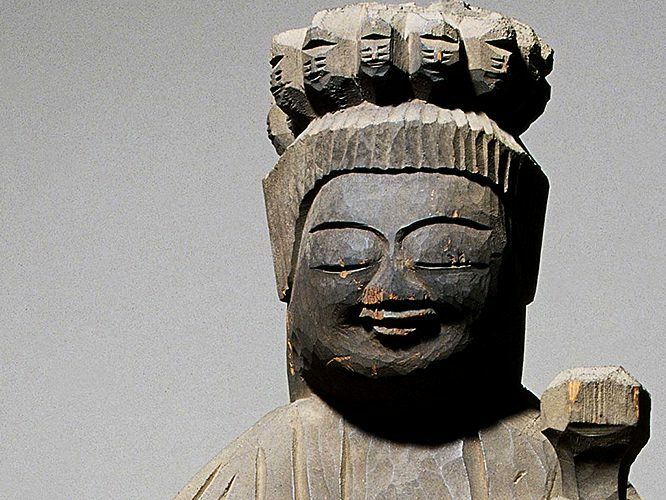 The statues he carved are known as “Enku-butsu” (Enku Buddhist statues), and while the roughly carved wood gives off a wild feeling, their faint smiles emanate a mysterious charm. Enku left behind this poem. 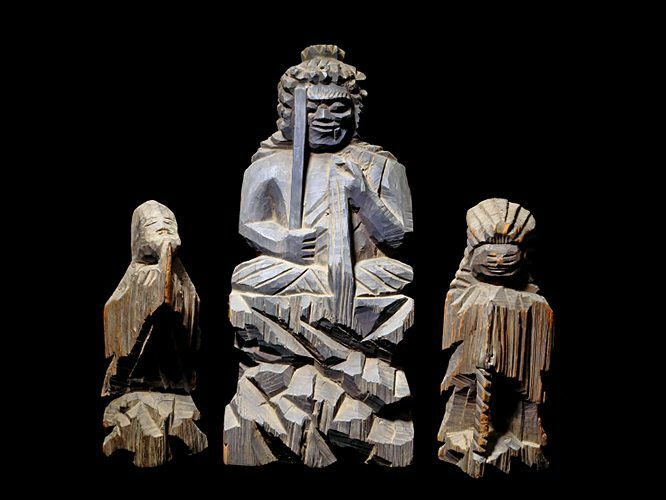 Enku was able to feel the form of God in nature where it cannot be detected by the eye, and he reproduced this form in wood. The act of carving these Buddhist statues was a conversation with God. As Enku carved 120,000 Buddhist statues, just what was he feeling, and what types of conversations was he having with God?